In 1993 Payam Saadat lost half his left arm in a tragic accident. On that fateful day he lost many things: his best friend died, his left arm was severed below the elbow and he would have to fight to regain the feeling of being normal. There is a long process of re-learning and teaching yourself to accomplish the simplest tasks. It requires a strong mindset and a firm determination to overcome the new challenges that you will face. “Being a competitive person by nature really helps in this instance, only here you are competing against yourself. But it is only by pushing through the mental and physical barriers that your amputation imposes, that you will become a complete, productive individual again,” he says. One element that Saadat found particularly useful for this process was physical exercise. A Washington State University football player before the accident, Saadat suddenly found that his regular workouts were hard to accomplish with only one hand. However, entering a regular gym and being unable to work out like everyone else is counterproductive. 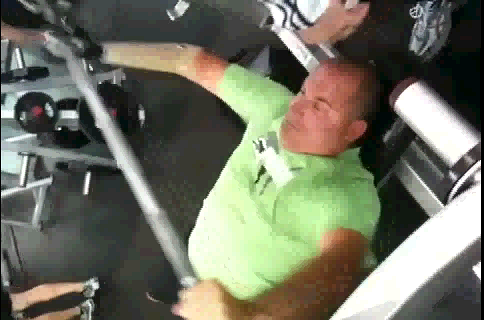 Saadat is clear that if you already stand out from the crowd because of your amputation, having to work out in a special area of the gym, or being unable to use all the equipment, only makes you feel more incapable and draws more unwanted attention. “The terminal devices from Maxgrip were perfect as they allowed me to step into a gym and do a regular workout with regular exercise equipment. I don’t need any assistance, I fit right in with everyone else and I can keep my body in perfect shape,” Saadat explains. 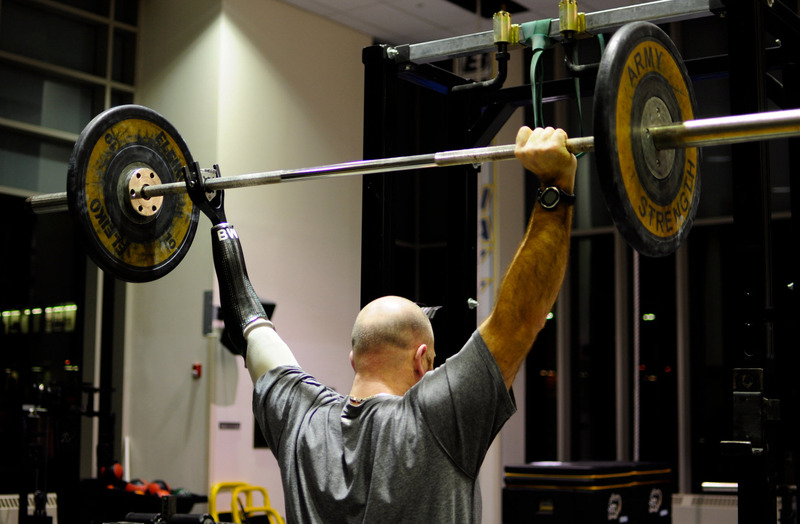 Maxgrip Systems produces both barbell and dumbbell prosthetics made from aircraft grade alloy that only weigh around 1.5 pounds. These provide a safe, secure grip on exercise equipment and allow below the elbow amputees to enjoy a normal workout. “The Maxgrip attachments let me exercise both halves of my body equally and to achieve the feeling of a great workout. Using these terminal devices lets me feel like I have got my body back to normal. And if you are an amputee you know that normal is good,” Saadat concludes. Livio Pelaez was just five when he was visiting his uncle’s ranch in Las Vegas. Childhood curiosity and a desire to explore led him to an industrial meat grinder. Small fingers and big industrial blades led to a terrible accident and Pelaez’s mother had to disassemble the machine to free him. When the dust settled, Pelaez lost his right hand. A sports fan, Pelaez, who is today in his early 40s, found that terminal devices were still very basic. Pelaez was watching the soccer World Cup in a bar when Vorhees approached him with a prototype he had been working on that would help a below-the-elbow amputee exercise using regular gym equipment. “I talked with Tom for a while and did some research on Maxgrip Systems. I started testing their prototypes and found it changed my life completely. I could use new workout techniques, which changed my physique and let me get into the best shape I’ve ever been in. The prosthetics are also rugged and strong, and can handle barbell lifts of up to 500 pounds and dumbbell lifts of up to 150 pounds,” Pelaez said. The Maxgrip Systems terminal devices enable below-the-elbow amputees to work their muscles as if they have two fully functioning limbs. Regular, balanced workouts prevent spinal and joint issues that can arise and also keep bones under tension to foster strength and avoid brittleness. Maxgrip Systems © 2009. All Rights Reserved.